Give us your best shot. Submit your hyper immersive VR experience. Your thrilling 360 degree movie. Your VR game masterpiece. Your convincing business model for VR, AR and every digital enhanced reality you can imagine. 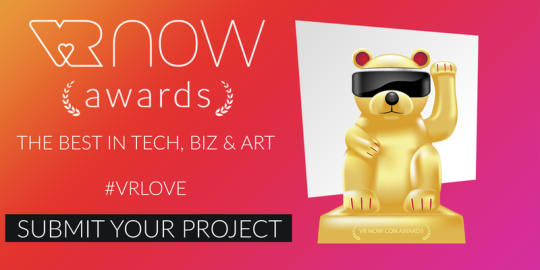 The VR NOW Con Awards 2017 celebrate outstanding technical, business, and artistic achievements in Virtual Reality. They are part of the VR NOW Conference, taking place in Potsdam/Berlin on November 15-16, 2017. You can submit your project and compete against an international community of friends and strangers, fellow creatives, beautiful minds and smart business cats. Please note that applying for the VR NOW Con Awards and paying the application fee on this page doesn’t give you access to the award show. Only VR NOW Con ticket holders will be allowed to participate in the award show. Yet, a successful application gives you a discount of 25 % (that’s nearly one third) on the ticket price. Please use the discount link you get with your confirmation of submission.NOMINEES GET A FREE EXHIBITION SPACE DURING THE EVENT on Nov 15+16, 2017. This animal. It’s called Winkebär. 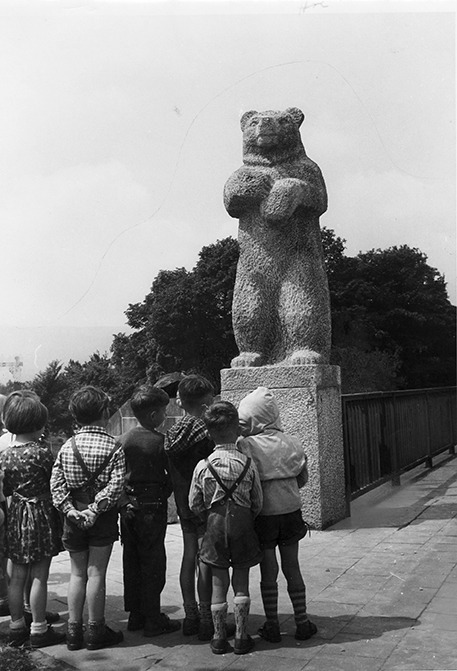 … and the heraldic animal of Berlin, the Berliner Bär (photo by Ebert). With each submission, contestants receive a VR NOW Con ticket discount code of 25%. The discount code will be sent via email once the submission has been approved. Each of the nominees will receive 2 VR NOW Con business tickets (worth 499,- euros each), a dedicated space in the nominees exhibition area to present their project during the event and a mention in the pre-event press release. Each of the award winners will receive a trophy, a 1-year Virtual Reality e.V. Berlin-Brandenburg association membership, a mention in the post-event press release and will be featured in the newsletter of our funding partner Medienboard Berlin-Brandenburg, in addition to the honor that goes with winning the second VR NOW Con Award. Do you have dedicated award categories? The best virtual reality project of the year, based on overall quality and innovation. The best of the best of the best. The VR Technology Award seeks to recognize the technically most advanced Virtual Reality projects, tools, services, hardware and techniques. The VR Entertainment Award acknowledges the most outstanding and fun experience – including interactive, storydriven or experimental formats. The VR Industry Award highlights handy and innovative virtual reality business-to-business applications and solutions. With the VR Impact Award we support projects aimed at making a difference – through journalism, artistic expression or by social or non-profit organizations. Can I submit my immersive high school project from 1993? Nope. Any virtual reality project is eligible as long as it has been first exhibited or released to the public between December 2016 and September 2017. Sorry, no ancient vomiting machines allowed. Submissions must be compatible with one of the following platforms: Gear VR, Google Cardboard, HTC Vive (consumer version), Oculus Rift (consumer version), PlayStation VR, Microsof Hololens. Projects not compatible with any of these platforms can still be submitted, as long as the applicant provides the jury an opportunity to evaluate them in Berlin, Germany. How much of my money do you want for that? Not much. We aren’t going to fill our pockets with of your hard earned $€¥. Actually, our fees are quiet fair. Please note that applying for the VR NOW Con Awards and paying the application fee on this page doesn’t give you access to the award show. Only VR NOW Con ticket holders will be allowed to participate to the award show.